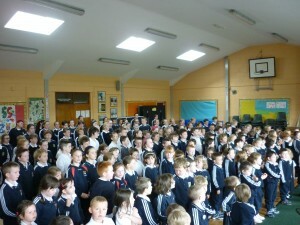 All children from 2nd to 6th class are members of our school choir. We meet as a school choir once per week in our school hall and enjoy a variety of different styles and genres of song singing together. At times, children have the opportunity of suggesting songs to learn as a choir! 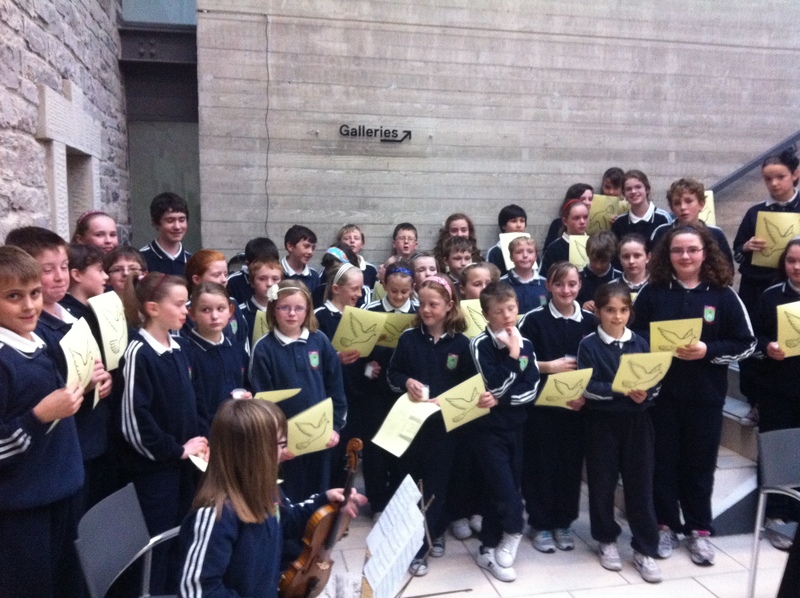 Children who have particular talent with playing a musical instrument are encouraged to accompany the choir, and we have been fortunate to have had many children providing accompaniment over the recent years. Every second year, we produce a school musical, thanks to the huge dedication and talent of our staff. All pupils from 2nd to 6th partake in this amazing production. Over the past 5 years, we have produced “Scenes from Oliver”, “Scenes from Joseph” and “Dorothy in the Land of Make Believe”. Our choir provides the music and singing for church occasions and the Sacraments and various events that we are invited to sing at throughout the year such as the Christmas Tree lighting ceremony at the Town Hall, Carol Singing in the shopping centres and a beautiful memorial service organised by the North West Hospice. At Christmas, the children share their beautiful singing with the elderly in nursing homes. Thank you and well done to the many children who have tirelessly given of their time to enhance many school occasions with their singing and instruments!